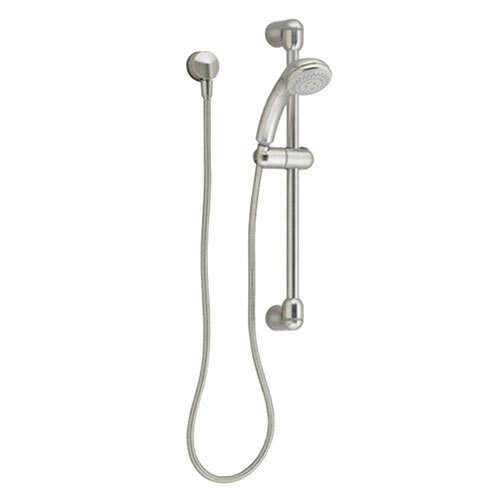 The American Standard Multi Collection Satin-Nickel Shower System Kit includes a soft hand shower, hose, wall supply and a 24-inch standard slide bar with adjustable bracket for hand shower. It is constructed of brass for dependable, long-lasting use. The lightweight hand shower has 3 functions that can be switched at the flick of your thumb. The adjustable shower holder can be positioned anywhere along the bar and can be angled up to 45-degree. Item Boxed Weight: 3.05 lbs.